Anthropologists have a concept called parallel myths. Somehow distant cultures with no previous contact have creation stories, flood stories, and hero stories that all share similar features. This may serve as evidence that these stories are true or this more likely may show us how science understands the human psyche. Added to the list of legends is the myth about an ape-like man who lives in the forest but somehow eludes all detection. 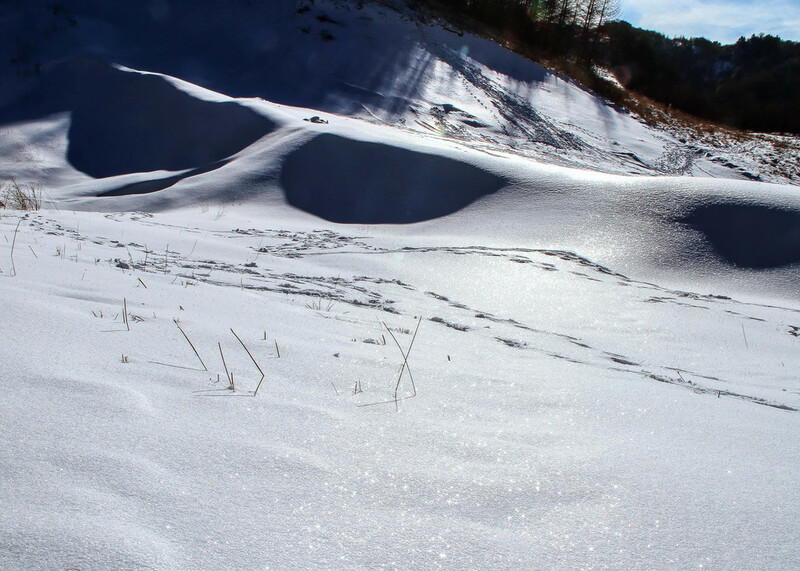 The Abominable Snowman, Yeti, Bigfoot, Sasquatch are all names of some unidentified forest creature. One more name can be added to that list, 野人 (yeah ren). She is the Chinese version and legend has it that she lives in the forests of Shennongjia, in Hubei Province. Such stories are useful to scare people. Dissuading people from tromping around the forest helps protect the wealth this forest holds for the few who know that there is no monster in the woods. And the environmental conditions in this forest have allowed for an amazing array of plants to grow. Many of these plants are herbal medicines which were discovered here over 4,500 years ago by the emperor Shennong--the father of agriculture and herbal medicine. This forest is so wealthy that when a genius comes along, a revolution in agriculture and medicine can erupt. Shennong is credited with so many contributions to Chinese culture that in many circles he is the patron deity. Mentioning Shennongjia without mentioning UNESCO would seem like a disservice to its status as a UNESCO world heritage site. I was made aware of this by quite a few people. The only problem is that upon researching this, to confirm what I remember being told, I noticed that the UNESCO website lists Shennongjia on its tentative list of inductees. The Chinese government had submitted the application back in 1996. Wikipedia mentions that only a few areas of the vast forest are listed among UNESCO's World Network of Biosphere Reserves. I am not able to confirm another rumor that a section of the Shennongjia forest is restricted to foreigners because it hides a sensitive military instillation meant to defend the Three Gorges Dam from a Taiwanese attack. China is not the only country that makes up conspiracies to make their boondoggle projects seem more important. So I cannot poke too much fun at their claim. But it is helpful to know that a commercial flight from Taipei to Wuhan takes nearly three hours. 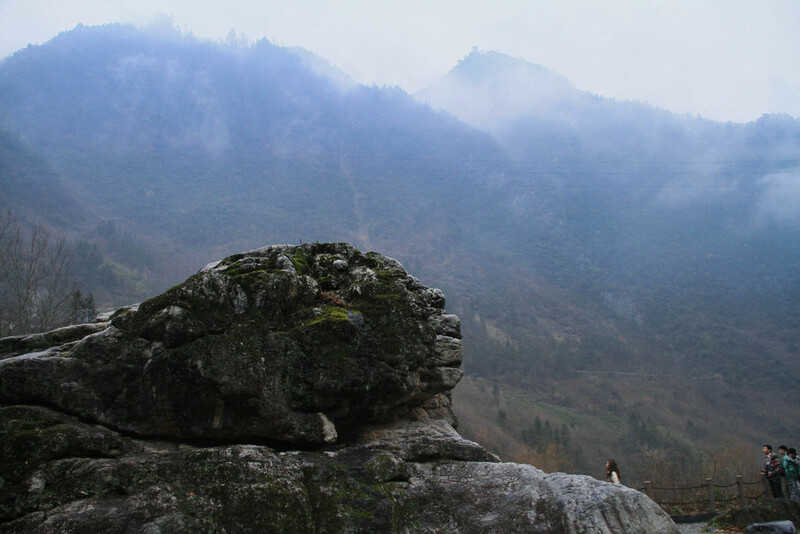 Despite the restriction, Shennongjia still has quite a few beautiful places to visit in the fall to go camping. In my eight years living in Yichang, I never took an autumn trip to the nature reserve. As a full-time teacher, I never had time during the school term to take the 5 hour bus ride up the mountain. And with all of the major holidays seeing a glut of tourists, I had chosen to avoid the major tourist sites. Such crowds can make even the most beautiful scenery a living hell. 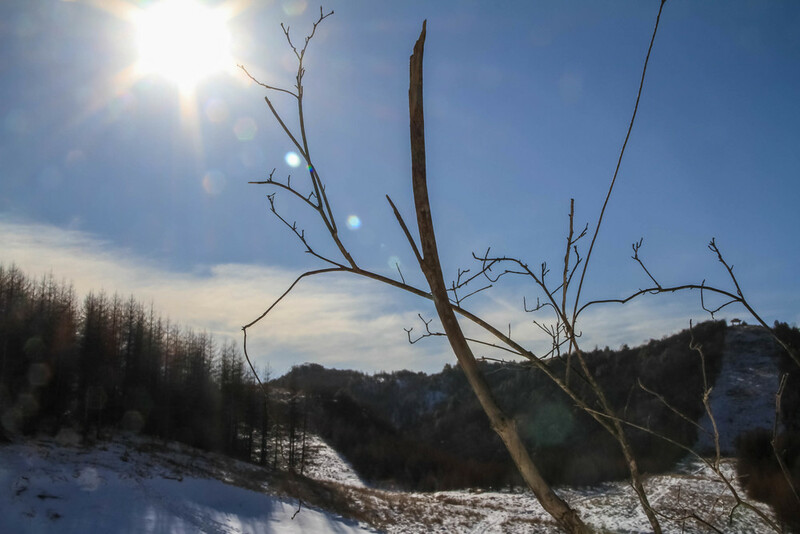 In the winter, Shennongjia is blanketed in snow. The ski resort is designed for novices. Most visitors are quite happy strapping in and exhaust themselves trying to walk around the flat section near the main building. This is no place for serious skiers. That didn't stop a foreigner I knew. She is an avid skier--accustom to annual trips to Switzerland. Her family would not ski at ski resorts. They would ski/hike from mountain village to mountain village in the Alps. She has memories of skiing from the age of 4. I, on the other hand, had only been cross-country skiing twice in my life. Once as a child to Lake Tahoe with my aunt and uncle. The other time in college to Mt. Shasta with my dorm mates. Alpine skiing never interested me. I was, however, interested in traveling to Shennongjia for the photography opportunity. I needed her because I would never have traveled alone. She was curious to know what skiing in China was like. She was eager to go for the experience. She needed me because I spoke Chinese. Shennongjia ski resort is amazing if you remember that China is a developing country. The park is basic without feeling rustic. Chinese people eat lunch and nap everyday like clockwork. It is not practical to have a facility that does not account for this. It seems that most people leave in the afternoon after having spent a few hours at the park. It makes sense to do that. Eating lunch at the park meant buying instant noodles and sodas for three times the normal price. Hardly the nutrition that I needed after all of the exertion form skiing. The other choice was to eat in the workers canteen. It was poorly lit and dirty with food that had win sitting in cold metal containers for a while. 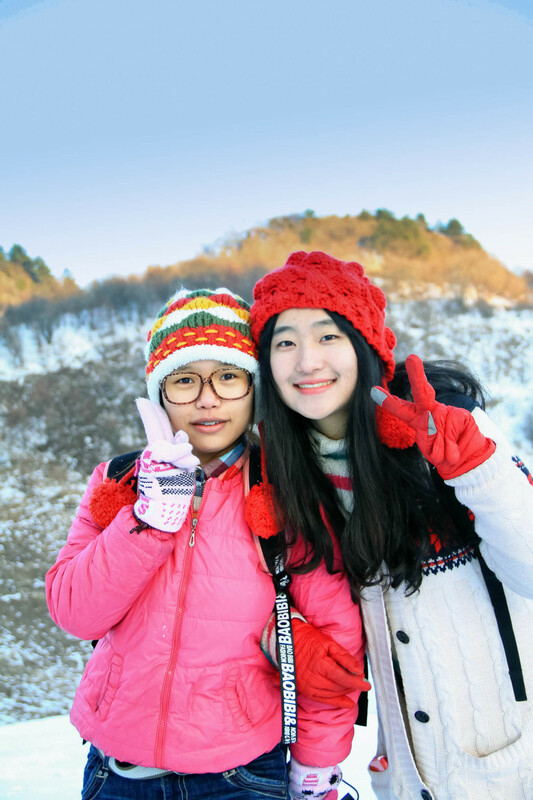 Nearly all of the visitors to the Shennongjia International Ski Park are Chinese. None of the workers there, who I saw, spoke English. Most of the visitors did not stay at the resort hotel, which cost about $60 a night. But they would arrive to the village two hours down hill in the evening the day before they planned to ski. They would spend the night there and then take a bus after breakfast and ski from 9 AM until early afternoon. The park closed each day by dinner time. These guests most likely had never had any experience skiing before. And with no experience on skis, one sunny morning is enough. It was enough for me too. My muscles are not accustomed to moving this way and I would be reminded of this after we returned to Yichang because my back hurt so bad that I had to go for a series of therapeutic massages to heal the muscles. Like everyone else, we spent our first night in the village hotel. In the morning, we took the bus up the mountain and checked into the resort hotel where we would spend the second night so that we could enjoy an early morning of skiing the next (third day) before the bus picked us up to return to Yichang. Day 2 It is nearly 10 AM time you pay and battle the lines to rent your ski equipment. We were excited to have arrived that first night at the village. We were finally out of Yichang which has grown increasingly more polluted with each passing year. 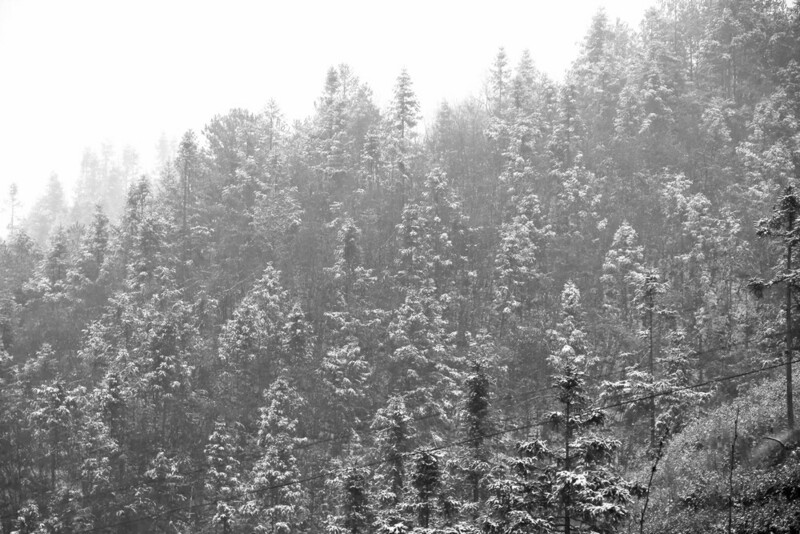 The crisp winter air had that electric feeling that all snowy mountain villages have. We were really happy to be there having had braved the icy mountain passes earlier in the day. We felt all stresses were behind us. I had prepared some picnic snacks and a bottle of vodka which I had infused with green apples and cinnamon bark. We chatted and snacked late in the night. The next day we would have wished that we had drank more water as both of us were a little bent out of shape. We came here to have a good time, a platonic good time. I could help her with navigating China and she wold teach me how to ski. The trip and our friendship took an unexpected turn however. As we were talking, I mentioned that I was Jewish. She grew excited and perked up, "Oh, I knew it. I have a jewdar." This was some sort of portmanteau for Jew and radar. My surprise prompted her to brush off any offense I might feel by saying that all of her Jewish friends at school call it that. She then said something to me in Hebrew. When I told her that I have no idea what that meant, she then claimed that she was more Jewish than me. Her being a Dutch protestant, I grew more puzzled. I have never been the recipient of such a conversation before in my life. It is bad enough that I am suspicious of most Western Europeans because I think they were complicit towards the Holocaust until it wasn't cool anymore. She being Dutch, I remind myself that the Dutch surrendered to the Nazis after a day of bombing at Rotterdam. Dutch Security were working with the Gestapo when Anne Frank was captured. Dutch civilians used to profit handsomely for having a nose for the Jews. In my experience, the Dutch are not the liberal, intelligent, and open-minded people that I originally imagined them to be. They are deeply conservative and think their sense of right is irrefutable because it makes sense to them. I have even known a Dutchman who insisted on riding his bicycle in Yichang and then force a driver to pull over when he was not given the right of way. She refused to apologize as she saw no harm it what she said. I tried to convince her that what her words mean to me don't mean what she thinks they mean. I should have left it at that but I had been drinking my apple cinnamon vodka and so I though it would be funny if I said that all dutch girls should have to enlist at the red light district of Amsterdam so to complete their national service requirements just as the males have to complete two years of military service to complete theirs. It was ridiculous but she latched on to it like a pit bull. That idea was so offensive that blah blah blah. You get it. My idea was offensive, so offensive in fact that it was ridiculous. I could apologize for it as it is an idea that I don't really hold. Ideas, after all, can change. Her offensive idea was more sinister because it was not an idea at all but some sort of ability that in previous generations was useful, in the darkest sense. She would retreat to the bathroom where she took a long shower. I stewed in my own thoughts. What possible use would a jewdar have in the 21st century. Her upper class circles are a mystery to me. But I do know that the Dutch have a history of international trade and the necessary diplomacy that makes trade work means that such people are suited for political expediency rather suffering the costs of standing against evil. Our friendship was over. We would be continue to be friendly and cooperative during the trip but we were never be at ease with one another again. In the morning we brought our things down for breakfast. We are plenty knowing that the road up the mountain was laid heavy with snow. As the sun rose, the fiery orange horizon excited me. 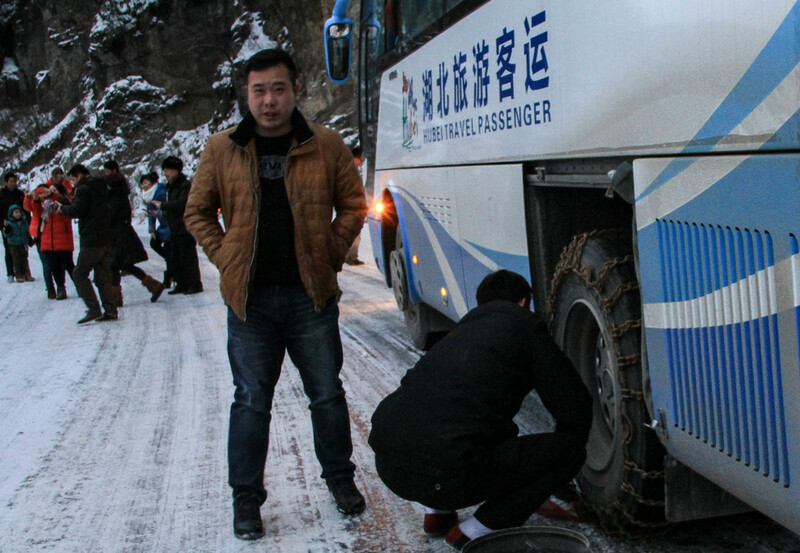 The heaving bus made a stop so the driver could dress the tires in chains. Everyone got out to enjoy the perfect scene. Living in China for so many years, I have had to develop a thick skin. I never fully grew numb to the offensive things. I was ever aware of them. I was able to last so long in China because I chose to side-step them, avoid escalation, and think about the positive things I am working towards instead of letting the negative bring me down. This sunrise was foreshadowing of more beauty to come. I'd rather focus on that. I was happy to have my camera. I had read up on avoiding the common mistake of not exposing correctly for the snow. The cameras default wants to balance colors toward a middle grey. This works in most setting but not in extremely bright and extremely white settings like snowy fields. I had been so used to exposing in poorly lit situations in Yichang that I was excited for dealing with completely different light in Shennongjia.